Lead time is dependent on stock availability. Should we have stock available, orders will be dispatched the same day provided payment is validated/received before 1400 hours. Should the product not be in stock please allow 10 working days plus freight transit time. This will allow for manufacturing and delivery to our warehouse. Every effort is made to effect shipment of your order timeously however unforeseen circumstances may cause delays. Should we be faced with such an occurrence Sensory Stars Store will contact you via email and provide a revised shipping schedule. When you click to make a purchase with us legal obligations arise and your right to refund of monies charged to your credit card or paid in any other way agreed by us, are limited by our terms & conditions. You must not make any purchase through this site unless you understand and agree all our terms and conditions. Once payment is made for the purchase, it is deemed that you have read and understood the terms and conditions for such purchase. If you have any queries please contact us before making any purchase for any service through this website. Shipping SA counter to counter Please ensure the correct shipping address is provided from the outset as title and risk will pass to you once the order has left our premises. Undeliverable packages Occasionally packages are returned to us undeliverable. Should this event take place every attempt will be made to contact you to make arrangements for re-shipment. Order processing Order processing will not begin until we receive a confirmed order and full payment. All transactions will be processed in South African Rands (ZAR). Sensory Stars Store endeavours to offer you competitive prices on current products; your total order price will include the price of the purchase plus any applicable sales tax and shipping charges (on the day of shipping). Sensory Stars Store reserves the right to change pricing at any time without prior notice. One of the most widely used ways of sending money online. 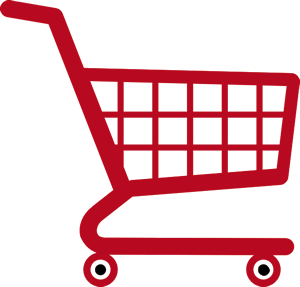 Once you have added enough items to your shopping cart, proceed to “Checkout” and follow the order processing instructions. Select the option to pay via EFT. You will then have to load Sensory Stars Store as a beneficiary on your internet banking and use the unique order number in the reference line for your payment. This should ensure speedy processing and delivery of your selected products. You may pay for your products through a direct deposit. It’s exactly the same as doing an EFT payment, except you’ll have to go into your bank and physically make your direct deposit there. Please email through your deposit slip to us on admin@sensorystarstore.com to ensure your payment is confirmed and order shipped as quickly as possible.